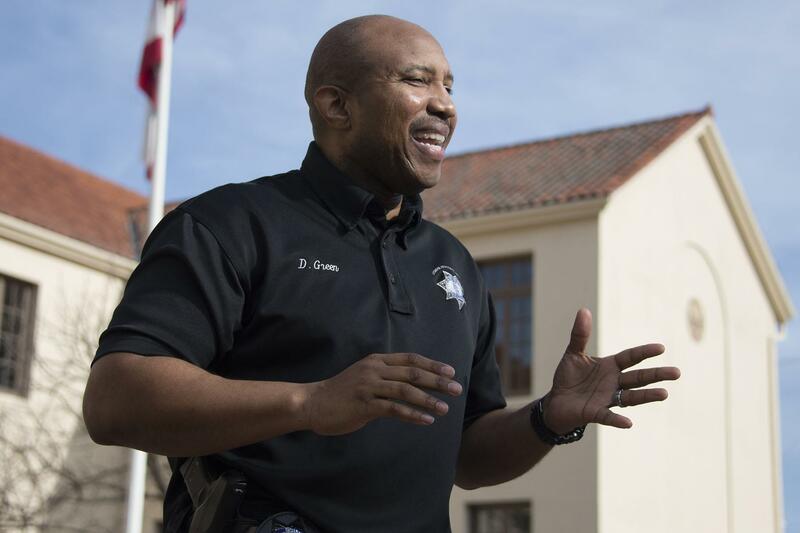 It was not long into my interview with DuJuan Green, Palo Alto High School’s School Resource Officer since July 2013, that I knew he was not a typical police officer. Seconds after meeting me, he approached a troubled student, whom he had spoken with previously, and warmly greeted him with, “What’s up man!” followed by a big hug. Although Greene is a police officer, he treated the student like an equal, like a friend. Green did not act like he was simply enforcing the law, but rather like an individual trying to better his community. He told me a story about how a student stole a bike. After speaking with the student who took the bike, Green got the bike back and the student was not prosecuted or even detained. In most of his talks with students involved in an incident, Green can simply arrest them. Instead, he tries to avoid punishing students and attempts to stop the problem at the source. Green calls this process “creating a teachable moment.” When Green found a stolen phone in a student’s locker, he asked why the teen had stolen the phone. The answer was simple: the student needed money. So Green bought him what he needed and taught him that stealing leads to a life of crime. The majority of the students with whom Green speaks with do not repeat the same crime after what he calls the mediation process. More often than not, after their talk, he maintains a cordial relationship with these students. His healthy rapport with many students could be related to the lifetime of experiences and lessons he has gained in his 45 years. From growing up poor in Detroit to serving in the U.S. Air Force, Green uses his past to better relate to who he works with. Just a few minutes into the interview, I began to see this exact trait in him. He is a down-to-earth, sincere person who wants to share his wisdom with the community around him.